I am not sure but the rumours are that our Salman Khan is been selected for 2008 Bollywood celebrity wax statue at London’s Madame Tussauds. I still have my doubts because there are no updates on Madame Tussauds website. Anyway I am very happy for Salman Khan. All the people who voted for him must be very happy to see their super star next to Amitabh Bachchan, Aishwarya Rai and Shah Rukh Khan. Reports suggest that the wax statue will be ready for display by January 2008 and Salman will personally go to London to unveil the statue. Bobby Khan, who is in-charge of the Bollywood gallery at the museum, has already spoken to Salman Khan. A formal letter is on its way and once the formalities are completed, a team of experts will come down to India for his measurements. They will begin work on the statue, and a big launch will be held in January 2008. Rediff reports that Salman Khan has turned down London’s famous Madame Tussauds. hey hero how are u mate iam sending from austrlai mate ur the best actor in bollywood every i have seen ur face is good and u very hand some abd best boday but u need amke u boday bigger. any see u best of luck for next year. I will give him good wishesh..
Allah aapko bahot kamyabi de aur aapki sab pareshani dur ho jaye….. I LOVE YOU….. SALLU bahi…. you are ROCKSTAR…. only you…. Bhai…. i very happy for that …. I m your very big fan…BHAI…. At last it happened.Sallu bhai became the 4th bollywood star to have wax statue at London’s Madame Tussauds. Allah aap ke har kam me sath de,bollywood me aap ko top me rakhe.INSHA ALLAH. Allah aap ke har kam me sath de,bollywood me aap ko top me rakhe. 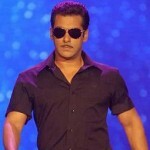 salman khan is no.1 actor in bollywood.